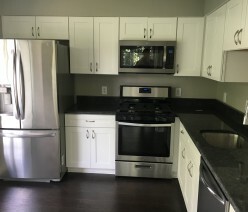 A-Master Builders is an owner operated South Jersey company with more than 28 years of experience specializing in kitchen and bathroom renovations. 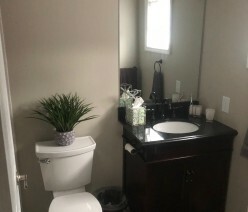 Randy Weaver, Owner/President personally meets with each and every client to assess and ensure their home improvement needs get met in the most professional way possible, from the initial consultation to the design phase through to the finished project. He personally answers your questions and helps you with any and all concerns whether it is a new project, or one already started. He takes pride in the personal service he provides and knows you deserve to achieve the highest customer satisfaction that you expect. A-Master Builders knows that in order to get professional results you need to use professional workers. We have employed the same group of workers for many years that consistently produce our top quality work. You can expect professional workmanship when you have your project remodeled by A-Master Builders. We will provide you with the best service possible and we maintain the highest customer satisfaction ratings in the industry. We run a very professional operation and work closely with our customers from the planning, determining the design of your project, and the materials to be used. We will see the job through to completion with 100% satisfaction. A-Master Builders is a full service residential remodeling company highly experienced in kitchen renovations, bathroom remodels, finished basements, additions, and much more. We truly aim to be the only contractor your family and friends will ever want to call again. Our business does not rely on advertising. Instead we count on our superb remodeling services to keep our repeat customers coming back. Due to these highly satisfied clients and their word of mouth we get booked up fast . Please browse through our site to view the wide variety of services we offer and see what makes us the right choice to provide you with the highest quality services for your home. A-Master Builders can do any project to suit your needs and make your home the most enjoyable and comfortable place possible. So send us you contact information and we can set up a personalized meeting to start your design and begin construction on the dates you want.